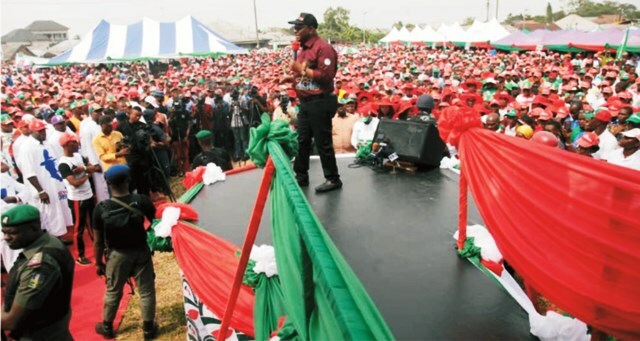 Rivers State Governor, Chief Nyesom Wike, addressing a mammoth crowd of party supporters, during the PDP campaign rally in Ngo Town headquarters of Andoni Local Government Area, yesterday. 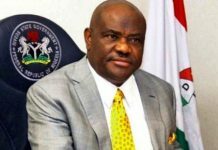 Rivers State Governor, Chief Nyesom Wike, has charged the European Union to take appropriate punitive measures against the embattled Kaduna State Governor, Nasir El-Rufai to check the excesses of violent politicians of the All Progressives Congress (APC). Speaking during a courtesy visit by the European Union Ambassador to Nigeria, Mr Ketil Karlson at the Government House, Port Harcourt yesterday, Governor Wike said if El-Rufai escapes without sanctions , other perpetrators of violence would be encouraged to promote hate speech. He said: “With what is happening now, is it likely for them to hand over when they lose? The European Union should use El-Rufai as an example. That statement is worse than hate speech. “If El-Rufai gets away with this hate speech, it will send the wrong signal. The President defended the hate speech as the defence of national interest. That is not true “. He said beyond saying that the European Union will not be deterred by the threats of the APC governor, concrete steps should be taken to wield the big stick against El-Rufai. He told the European Union Ambassador that the threat by El-Rufai to kill foreign observers is part of a plot by the ruling party to unleash mayhem on the opposition. He said the opposition is not interested in violence during the elections because they are ready for victory. According to him, the ruling party is orchestrating violence because the signs of defeat are everywhere. He said in Rivers State, the APC Federal Government and associates are working to create crisis for the illegal postponement of elections in the state. He noted that the plan is to isolate Rivers State so that security agencies can be deployed for rigging purposes. The governor charged the European Union to pay close attention to Rivers State because the votes of the people must count . Earlier, the European Union Ambassador to Nigeria, Mr Ketil Karlson said that he was in the state to meet stakeholders for the promotion of peaceful and credible elections. He said since 1999 , the European Union has been observing elections in Nigeria , noting that the 2019 elections will not be different. The European Union Ambassador added that the group has since 1999 supported the elections with one hundred million euros. He called for issue based campaigns, but added that the European Union has no preferred candidates. Also yesterday, the United States Consul General to Nigeria, John Bray held a meeting with the Rivers State Governor, Chief Nyesom Wike at Government House, Port Harcourt. Bray called for peaceful, free and fair elections. He said that the United States of America has no preferred candidates or political parties. 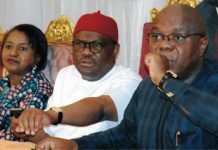 Meanwhile, the Rivers State Governor, Chief Nyesom Wike, has called on the international community to step up sanctions against those found manipulating or behind election violence in the forthcoming elections in Nigeria. The governor made the call yesterday when the new British High Commissioner to Nigeria , Catriona Laing paid a courtesy visit to him, Wednesday, in Government House, Port Harcourt. Wike said restriction of visas to those behind election violence is not enough . He said: “ We are happy for your interest in free and fair election, but we want you to scale it up. 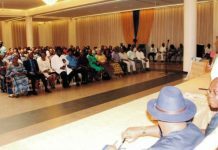 Wike said that it is time the international community comes out strong so that nobody should do anything that could precipitate crisis during the elections. 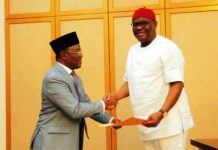 He noted the interest of PDP in violent free election but stressed that that depends on the two major institutions responsible for the conduct of elections in the country , the Independent National Electoral Commission ( INEC) and security agencies, particularly the police. He said there cannot be violence where the election is free and fair. “ What brings violence is when people want to manipulate the process. Then people will want to react or resist. In doing that, violence erupts ,which is no necessary. “Sometimes, people would say okay, let’s seek redress in the law court. But people are afraid because the judiciary has been intimidated . 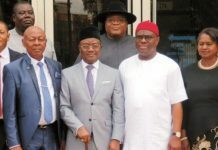 The governor said judiciary which is being seen as the last hope for the common man has been frightened by the APC- led Federal Government, thereby making people lose confidence in seeking redress. He said it is key that the international community focus and put an eye in the election in Nigeria because Nigeria is so important in African continent such that what happens in the country directly affects Africa. “We appeale to you to talk to INEC because the major problem we have is INEC and security agencies, in particular, police. “ They should allow Nigerians to vote freely. They should allow Nigerians votes to be counted. Then you will see that people will be happy. He maintained that attempt to short change people or manipulate the electoral process may likely result in resistance by the people. Wike stated that PDP does not need to rig to win election because the party has performed to the satisfaction of the electorate and has equally campaigned very well and is ready for the election. Earlier, the British High Commissioner to Nigeria, Cariona Laing, said she has to come down to the state to see for herself the situation on ground, in view of the interest of her country in a free , fair and nonviolent election Nigeria. She said Britain has huge interest in the state and Niger Delta because of her economic importance. Laing who disclosed that for past two months she came into the country as the new High Commissioner to Nigeria she had spent two weeks reaching out to people and trying to encourage them to support a nonviolent election. 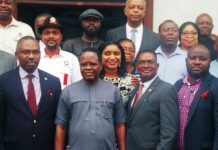 She also noted the environmental challenges in the Niger Delta stressing that the essence was to see how businesses was being done in the area considering the economic interest her country has in the area. In a statement issued by Kola Ologbondiyan National Publicity Secretary and Director, Media & Publicity PDP Presidential Campaign Organization, the party also noted that el-Rufai’s threats that members of global democratic institutions working towards peaceful 2019 general elections in the country will return in body bags, has raised new questions regarding those behind the killing of expatriates and aid workers in various troubled parts of the country. The statement added: “It is quite revealing that el-Rufai, who exposed Gen. Buhari in 2010 as ‘unelectable’ is now prancing about in defence of Buhari’s incompetent and anti-democratic administration, to the extent of issuing death threats to others, just to secure his place under a dictatorial administration. “Governor el-Rufai had in 2010 described Gen. Buhari as ill-equipped for modern day governance. He berated Gen. Buhari of lacking the capacity to comprehend current trends, to the extent that he would think that a “blackberry was a fruit”. “In his reply to Gen. Buhari’s response to his earlier criticisms, el-Rufai stated: ‘Mallam El-Rufai wishes to remind General Buhari that he has remained perpetually unelectable because of his record as military head of state, and afterwards, is a warning that many Nigerians have wisely heeded. His insensitivity to Nigeria’s diversity and his parochial focus are already well-known. ‘In 1984, Buhari allowed 53 suitcases belonging to his ADC’s father to enter Nigeria unchecked at a time the country was exchanging old currency for new….. However, the statement observed: “Today, President Buhari’s inept and colossally corrupt administration has wrecked our once robust economy, divided our nation, instituted executive high-handedness, violation of human rights, incessant breach of our constitution, disobedience of court order, assaults on our democratic institutions, clamp down of the media and dissenting voices, a scenario that has brought so much pain and anguish for Nigerians. “Governor el-Rufai’s venom should, therefore, be directed towards President Buhari, who has brought so much pain to Nigerians and of course himself, for his own insensitivity to Nigerians and his support for anti-democratic tendencies of the Buhari administration. The Kaduna State Governor had last Tuesday warned that those who intervene in the forthcoming general elections will “go back in body bags”. “This is not new. But as northern youths, we have resolved not to be drawn into any act that will lead to loss of lives and property in Kaduna State, the region or the nation as a whole.